I use this pad when I go to bed to calm muscle spasms in my lower back. I love the way it covers my back. Helps my low back pain. I wish the high setting was hotter. Also it bunches up all the time. This product was not that great. The heating pad heat but all threw the night i had to straighten the plastic. It was very annoying. 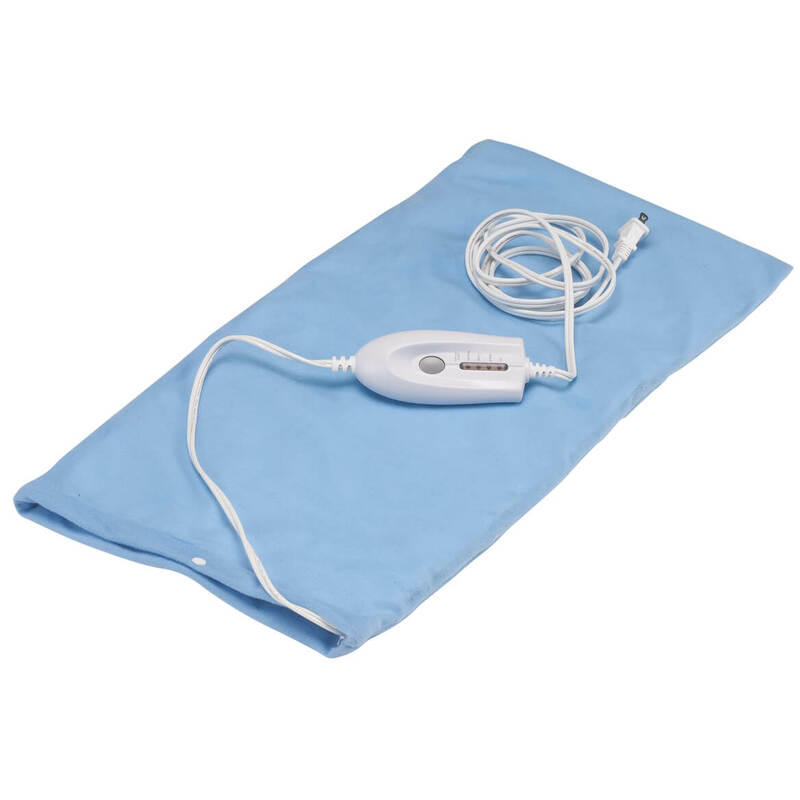 Looking for a XL heating pad with auto shutoff. 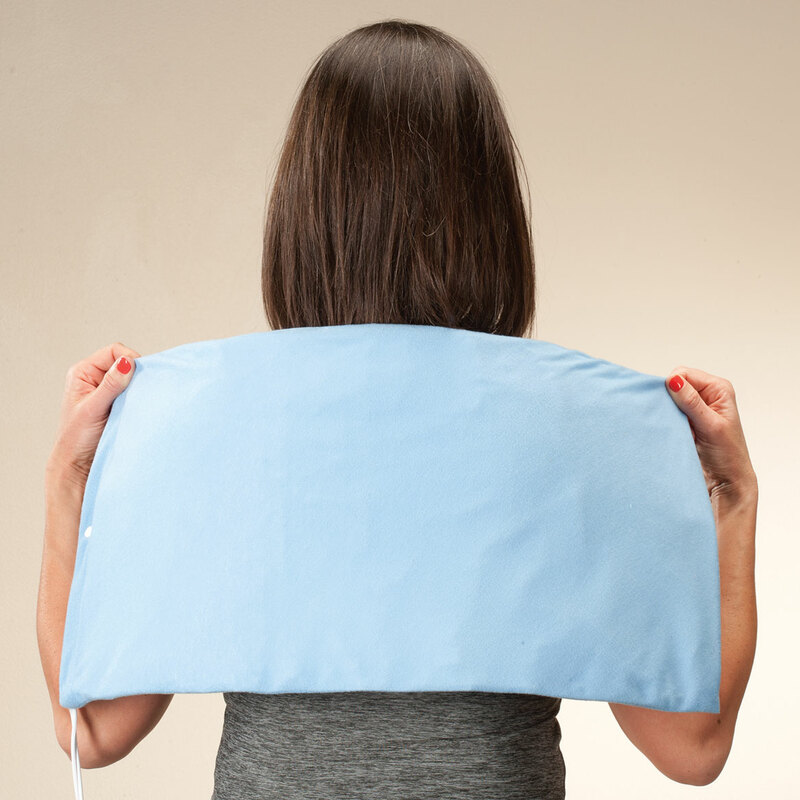 This is a larger heating pad and want to see if this will covrr a larger area. 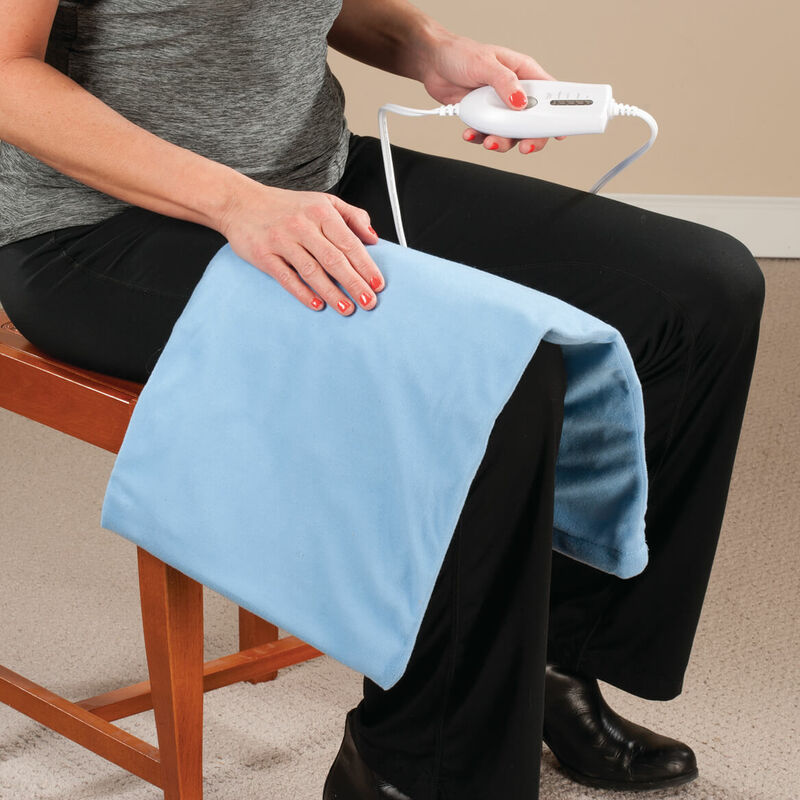 I needed larger heating pad, I can always depend on Miles Kimball to find what I needed. 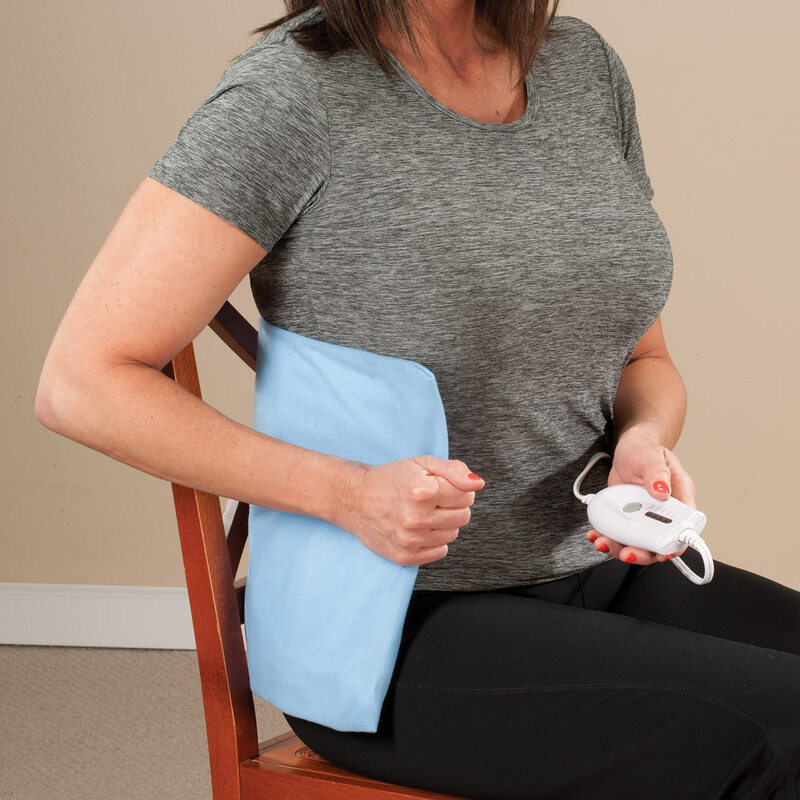 Sometime when I return home from work my knees hurt, I place the heating pad on them for about 20 minutes and I feel great.